Day Out of Day (DOOD) Reports are a simple way to document and view when an Element is needed, on hold, or done. 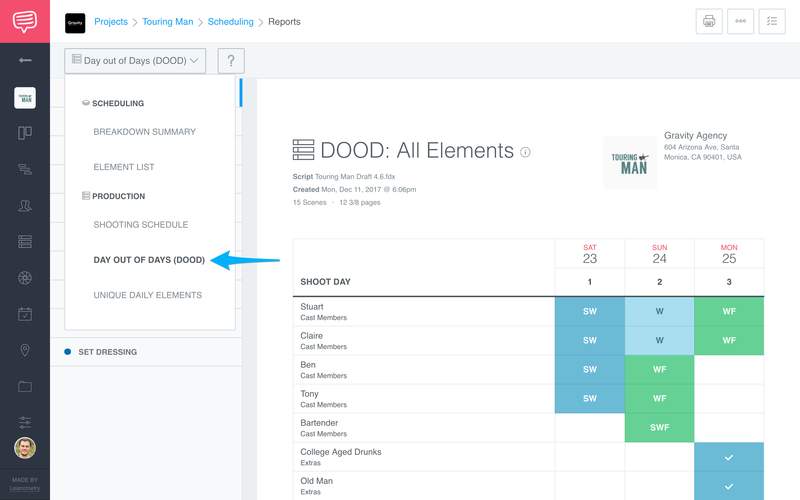 Navigate Reports by using the drop down menu click Day Out Of Days (DOOD). DOOD Reports are organized by Categories that can be viewed in the sidebar menu. Use All Categories at the top of the sidebar to view the entire report, or click a specific Category to view it's report. Check out our blog to learn more about DOOD reports and abbreviations. 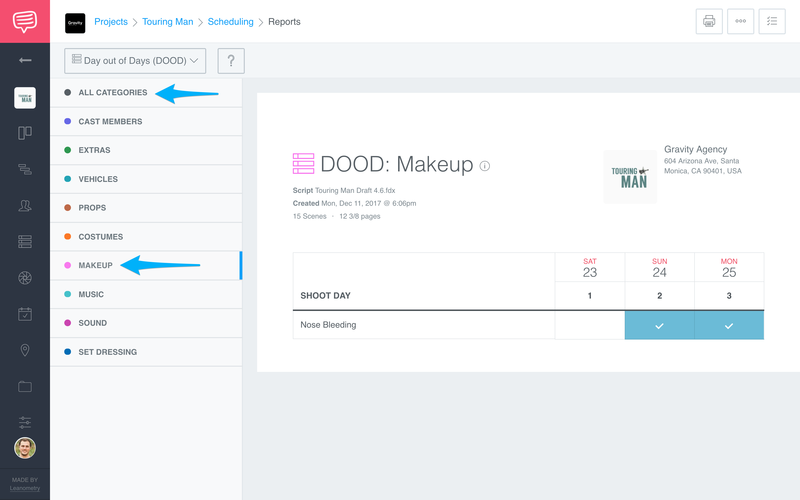 How can I add rehearsal days to the DOOD report? The DOOD report is generated from the Cast ID's on every scene strip. 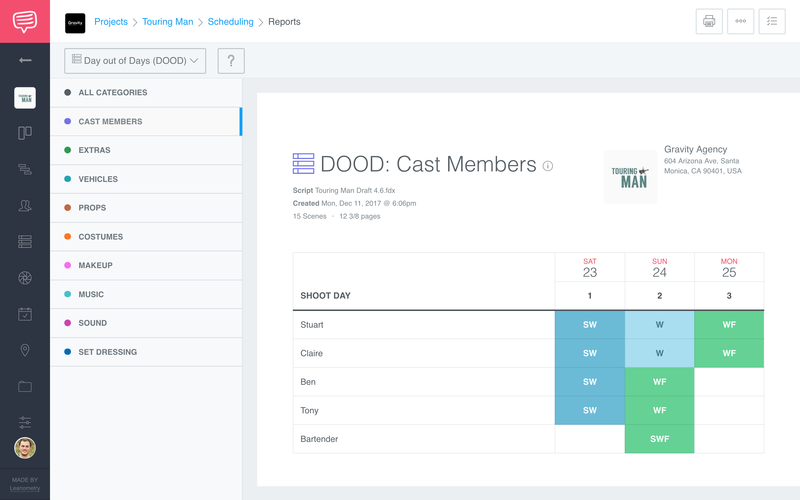 This means that if you want to add a rehearsal day to your DOOD report, simply create a new Scene and assign the associated Cast ID's, and then head back to your DOOD page.